This goal is extremely optimistic, considering I only read 34 books this year. However, I feel I can do it. I have the will to succeed! I used to read up to 60 and possibly 70 books but that was in high school. Still, I am over my reading slump and into reading mode so as long as I keep my eye on the goal, I think there should be no problem. This should not even be a goal. I should clean The Bucket List without having to make it a goal, right? However, when I have the choice to go through thousands of broken links or write that new blog post—I am always going to choose that new blog post. Cleaning up around The Bucket List needs to become a priority for me so putting it on the goal list will definitely become the first step in what I need to continue to make time to do just that. Excuse me, while I dust off the shelves and wash those old posts right up. Has everyone left me for Wordpress? 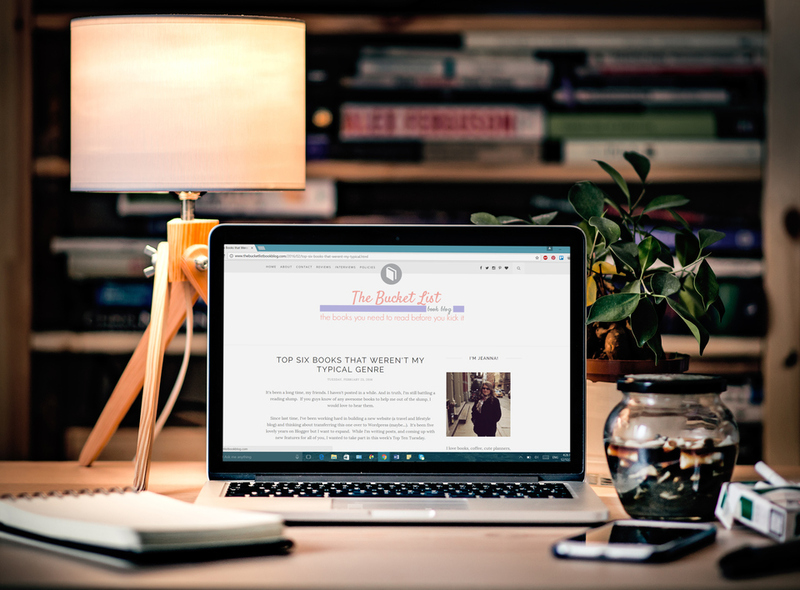 In the past year, I played around with a new blog—a travel and lifestyle blog—over at Wordpress and as much as I decided blogging about books is most definitely my niche, I enjoyed working on the Wordpress interface. Though moving six years’ worth of awesome would take time and possibly money, I may take the plunge in changing. I haven’t fully made up my mind in that department yet. I need to do more research but if I am moving, it will be in 2017. I have a problem with finishing series. I don’t like endings or sequel syndrome or seeing precious characters die. Just no. I talked about this a while ago in that my review style will be changing. I feel that over the past few years, my style has gotten a bit too formal and less conversational and that is definitely not where I was intending to go. It got to the point that I would dread writing reviews because I was even bored writing them. So I figured, you were probably bored of reading them. It took me this whole month of research and analyzing, and taking Paper Fury’s quiz of what kind of reviewer you are to figure out a style that worked for me. A style that, now, seemed so obvious to begin with. Lists. Bullet Points. Gifs. Things that I love that I never thought I would make a book review out of but it is happening and it will be awesome. This is another optimistic goal. I remember back in 2008 when I just had a small trunk full of TBR books. I didn’t buy any more books until the pile was down enough that I could close the trunk. It was a lovely system I had going on. I don’t know what happened. That trunk now houses my DVDs and my books have found their way on three full bookshelves. My TBR is beyond out of control and 2017 is the year I am going to attack and conquer. It will either be in the form of reading or a total clean out of books that I will never read. This will be hard, considering I don’t want to let go of my books. However, the TBR will be conquered or I will suffocate under the pile of books.